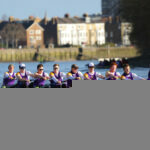 The University of London will take on crews from Oxford and Cambridge Universities this Sunday, over The Boat Race course. 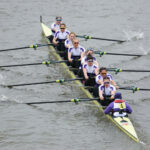 The UL Women’s 1st Eight races Cambridge University Women’s Boat Club at 16:00, over two pieces along The Boat Race Course from Putney. Meanwhile the UL Men’s 1st Eight will take on Oxford University in a fixture with Isis, starting at 12:45. 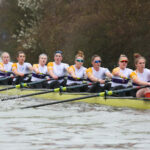 The UL Women’s 2nd Eight also races, at 15:45PM, taking on Cambridge Univeristy’s lightweight women, again in two pieces, starting from Putney and then Chiswick Steps. Last weekend Univeristy of London athletes raced at the latest set of Great Britain Senior and Under 23 Trials. They produced a strong set of results which included the fastest U23 Women’s Pair, 3rd fastest U23 Men’s Pair, 4th & 5th fastest LW women’s scullers and 7th fastest Women’s 1x.